Do you want the smooth and Tender feet? Maybe you can get the good skin in the salon multiple,but you need to pay a lot of moeny and spend many time. And will youfeel embarassed when somebody look at the calluses and the rough patches on your feet. 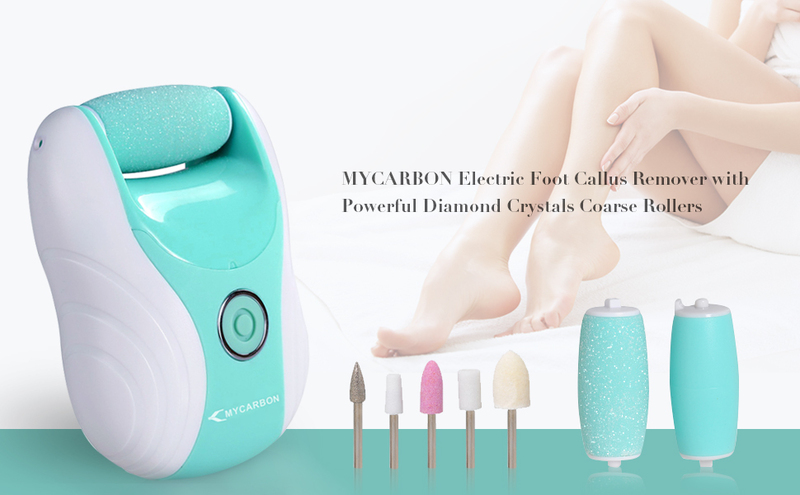 Don't worry,MYCARBON Callus Remover Tool for Feet can solve all the problem for you at home. 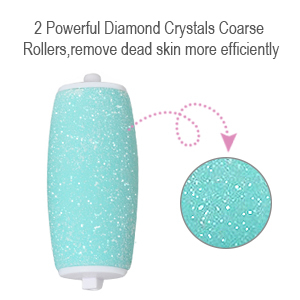 1.360 Degree Spinning Powerful Diamond Crystals Coarse Rollers, effiently remove dead skin and callus. 6.Easy to use and suitable for people with sensitive skin. 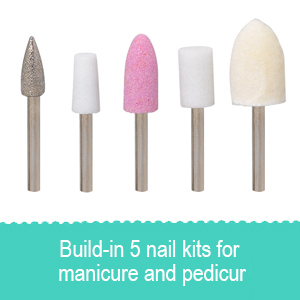 7.Easy to clean and no harmful to foot skin or nail. 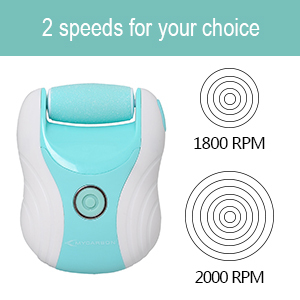 1800rpm lower speed to remove your hard skin and callus more gentle and soft,protect the skin from scratch. 2000rpm high speed is more powerful to remove thicker dead skin more efficiently. Easy to use and suitable for people with sensitive skin. 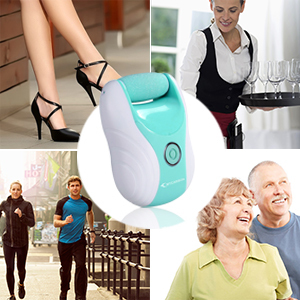 more easily and effiently remove dead skin and callus. No need to change out batteries! 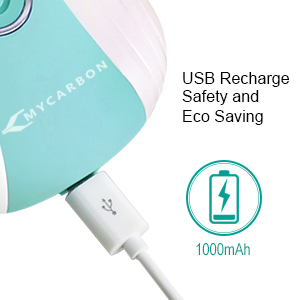 Powerfully and continuously Run for over 1 hour after fully charged (about 3 hours).